I t is not easy to find a good commercial electrician, right? The good electrician is supposed to fix the problem and offer reasonable pricing but there are not many reliable business electrical services so the struggle is real. That is why we offer our Prosco Services to those who have limited budgets but still have problems that need to be fixed by professionals. 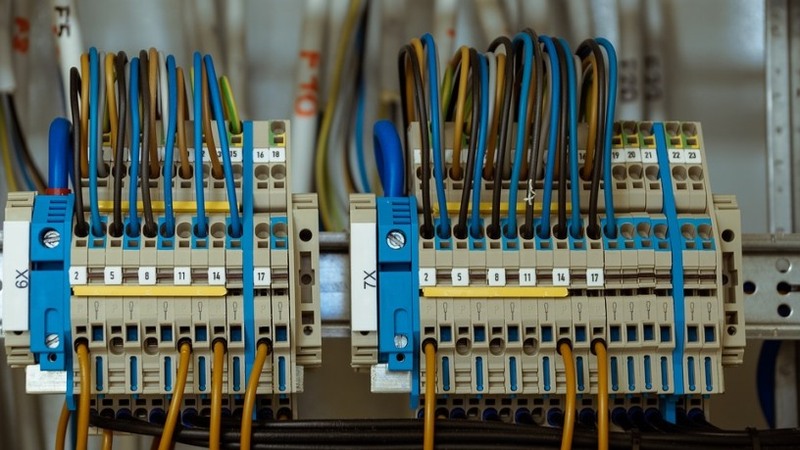 You are probably wondering what is the difference between the industrial and commercial electrician, but do not worry because we will explain it now. First of all, these types of electricians have been trained for different environments and they are far from being the same. They both have the basic electrical knowledge of course, but they do not apply that knowledge in the same way. The commercial electricians are more common because they offer series to the regular masses of people. 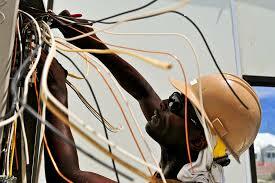 For example, these electricians are the ones who would work at retail stores, restaurants, homes etc. Their primary job is to make sure that all of the wiring and components of the particular structure are working properly and safely for everyone around them. We will emphasize the word “safely” because these electricians must make sure that the wiring would not endanger people in the environments where it is set. That is why sometimes they need to work somewhere where they do not only perform typical electrical repairs but also work on some systems that are of higher voltage. Speaking of industrial electricians, their level of expertise is completely different and sometimes requires several years of apprenticeship before they could be hired permanently. This type of expertise demands high accuracy and training. Industrial electricians very often work on very expensive machines and oversee various degrees of voltage, from high to micro currents. Depending on whether you are in need of an emergency call our or you just need something reinstalled, you should take into consideration our services. Re-wiring is important because if you do not change your old wiring that might cause trouble for you. For example, the old wiring might be incompatible with the modern devices which might result in a hazard. The 21st century demands a special kind of circuitry and your wiring should meet that criteria. Alarms are also very important because they keep your house or apartment safe from intruders and the least they can do is deter them. However, these alarms run on electricity which means you should make sure to maintain it. Our electricians install not only burglar alarms but also install fire and sprinkler. PAT Testing is also called the Portable Appliance Testing. This testing is performed for employers and domestic customers in order to make sure that their electrical equipment is running properly. Our electricians provide this type of testing and help you with your worries. Emergency call outs are also part of the job. If you happen to find yourself in a situation where your system has started bugging or stopped working, give us a call. Have in mind that touching it can be dangerous and any emergency should be dealt by professionals. Parking lot lighting can also be performed. Security lighting to keep your environment safer. Light fixture installation or replacement. Besides the usual upgrades, what falls under the commercial electrician service is also renovation and construction. If you want to reconstruct a whole facility, building or office, then you need to work with a team that will make sure that all installations are properly powered. Designing something like this is very challenging but all of the electrical codes need to be provided. Nowadays the energy efficient lighting has become very popular and it includes timers and fluorescent bulbs. We can make sure that we reduce the risk of increased cost. In order to be energy efficient, the company uses high-quality services and energy efficient technologies. By reducing the energy you can increase the profits by doing something good for your environment as well. Even though commercial electricians work usually indoors and they are not affected by bad weather that is not always the case. Electrical Construction which consists of the usual electrical engineering services such as designing and building installations, installing fire alarms, installing voice and data systems, building alternative energy. Electrical Installation is a service that deals with installing various electrical equipment and wiring. It also consists of security installation, CATV, CCTV, nurse call, paging, etc. Electrical Engineering helps you schedule and perform a cost analysis. Low Voltage deals with services of low voltage, usually in domestic environment. It is the maintenance of smaller devices and equipment. Electrical Service & Maintenance is all about helping you fix devices and even provide training. As you can see, It is always for the best (and usually cheaper in the long run) to hire a professional to deal with electrical wiring than do it yourself.